Well I can remember introducing the Mike Miller Band. I was a DJ there in the late 70's. Mick Knight the manager, Edwin Starr was on one night. Great times. What was the other band that alternated with Tristrum Shandy. I remember playing records for only 15 mins whilst the guys changed the kit over. They were brilliant. I had to think hard to fill the floor without playing records the bands did live, Motown always worked. I remember running in one night at 7.30(opened at 80) with anew KC and the Sunshine band record only to find the band practising it, they played it and played it very well that night. request Jackie Wilson - Higher and Higher, and Skatallites - Guns of Navarone. You will remember Tony Rainbow then? I then went to the Sherwood rooms and DJ'd the Astoria when it opened working for Barry Noble. Stu the DJ, Stu the manager and Stu the doorman, very confusing! I remember introducing resident band Luna Park every night, can't remember which year though. Wasnt Mick Knight DJ for a while before he became manager. Tony Rainbow would be there about 1969, when I saw Troggs and Love Affair Live. My brother informed me that Mike Miller who led the house band at The Palais in the 70's passed away last week , aged 74 and his funeral was yesterday in Loughborough . Tried Googling him and the only results I got were this site. I worked at the Palais in the late 70's,mostly on the bar and once in a while dj'ing. My abiding memories of the house bands are 2-4-6-8- motorway and Float On. Other memorbale events were the European Elvis convention taking place a couple of weeks after he died. The Bali Hai was filled with middle aged guys in batwing costumes sobbing their hearts out. They had planned to show 'Love me tender' but realised that, as the only film Elvis died in, they'd have a riot on their hands so had to delay the film for an hour or so as a replacement film was sent from Germany I think. The other big event was the showmans booking after goose fair. They would keep putting £20 notes on the bra and you poured pints as fast as you could while they had a massive beer fight. The place would take a weeks worth of bar money on that one day. I also remembert how, on grab a granny night, all the women turned right into the ladies as soon as they arrived to soap their wedding rings off. Thanks Mick for that link . 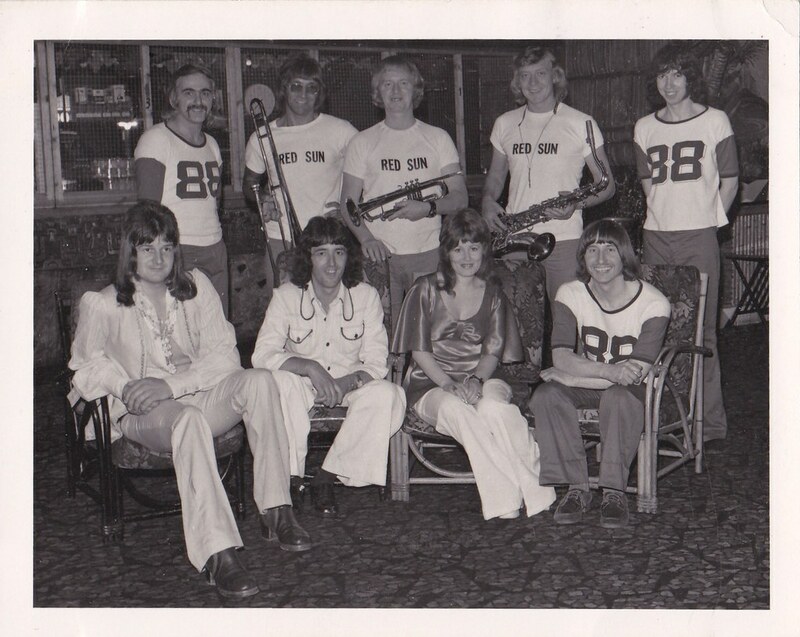 My brother sent me this this pic of another Palais house band in the 70s called Red Sun that I believe were an offshoot of the Mike Miller band , here pictured in the Bali Hi (?) . As regards Mick Knight and djing. When the music upstairs came from the small lighting cubicle on the balcony, if no-one was dancing, he'd rush in, put 'Hi Ho Silver Lining' on and rush out again as the dance floor immediately filled. Karls Fable also did Hi Ho Silver lining to get the crowd going. A kind of related theme, studying for o'levels when Elvis died in '77...went to the Palais to see a large crowd of fans jiving and playing music on the centre reservation.... this was the next day after the news broke on News at Ten. Was Nottm where Elvis fan club was based? I've heard Elvis works at McDs at Basford ! I don't think he works at Mac Ds , I think you'll find he's driving a tram!. What a fantastic site this is - so many memories have been revived here for me....I also ran the Thurland with my wife Maria in the 80s, Old Vic Music Hall in the Lace Market in the 90s, and then had 11 years as mine host at the Coach & Horses (Broach and Handbag) on Parliament Street. Just looking through the posts about old clubs and pubs on here brought back so many memories. At Banner, we used to book groups for the Dancing Slipper, Boat Club, Brit, and lots of other clubs. One time I booked the Rolling Stones for Nottingham Uni Rag Ball for £2000....then they cancelled out two weeks before the gig. I booked Roxy Music for £125 at the 76 Club Burton on Trent, also Suzie Quattro for £75 there....those were the days....we used to promote concerts too at Banner - Phil Smith had Hermans Hermits at the Elizabethan Rooms over the Co-op, and I put Uriah Heep and Shanana on at the Albert Hall in the 70s. I also played tenor sax with Edwin Starr in the 80s, with Rod Lee (Gino Washington, Amen Corner and others) and Bob Wilson (Wizzard, Humphrey Lyttleton and others) and we did a couple of tours with him, Kim Weston and Major Lance - all the Northern Soul venues....now happily retired in Sawley. Anyone remember me?? Welcome to Nottstlagia MansfieldMichael. 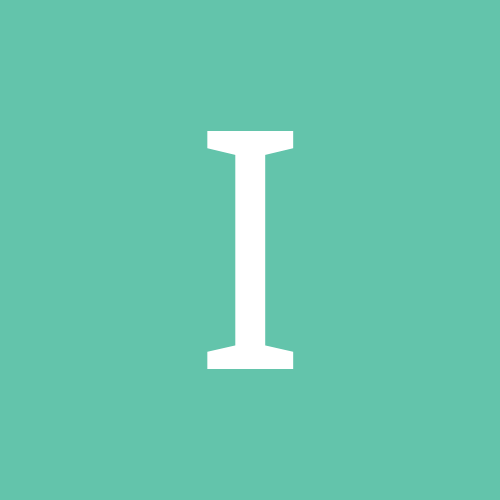 I've moved your post into an existing thread because it referred to a few names and events which you'd mentioned in your post. The thread is a few years old but you might bring it back to life. Met you briefly once in the Thurland , on a rare trip to Nottingham when I went in with my brother Bob (who you mention above) . My wifes mum had worked in the Thurland for many years up until the 70s so it was a nostalgic trip for her . Trust you have seen some of the photos of the Palais bands posted in previous pages of this thread . I joined Mike Miller in May 1976 and stayed with him a few years, then went up to Bradford Locarno with "Flyer". The Yorkshire Ripper struck in the Locarno carpark, so we got closed down and I came back to Mike at the Palais in 1980. Tristram were still there then. We got moved to Leicester Palais and then the Towers in Birmningham, so I cannot remember who took over from us. Tristram were there for years. Is this Tristram Shandy ? If not who ? Comes up on a Google search for that name + Nottstalgia but can't see it on the actual thread on here called Pedigree of Pop . Looks more like Sons & Lovers - that's Steve Greenfield on the far right, Eddie Cook (also played bass with me in Mike Miller Band) on the second left, Spike in the middle and Mick Franks leaning on the car bonnet. No sure who the first left guy is? Welcome MansfieldMichael. Ooh, for a moment there, I thought we'd been joined by the eminent lawyer! I posted this 5 years ago when﻿ I was googling about the Mike Miller band . Chapter 2 has the relevant stuff . WARNING : OTHER PAGES DO CONTAIN CONTENT OF AN ADULT NATURE ! "